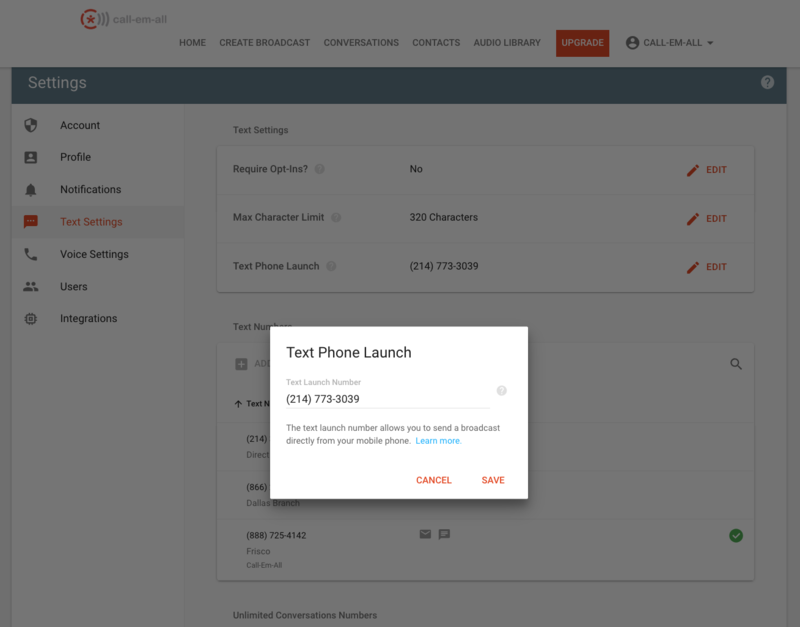 You can launch text broadcasts directly from your mobile phone without having to login to your Call-Em-All account! In order to use this feature, you must first enable this setting in the Text Settings section of your Settings page by adding your cell phone as an authorized number. To launch a broadcast, you'll send a text (that begins with the # sign) to your account's toll-free number. If you want to send a text to a specific group instead of everyone, you'll need to know the List ID of the group that you want to text. You can learn about List ID's here. To text a specific group: Text [#ListID and your message] to your toll-free number. Example: #6 Coach Jones here. The start time for tomorrow's game has changed to 8pm. To text all of the cell phone numbers in your account: Text [#all or #0 and your message] to your toll-free number. 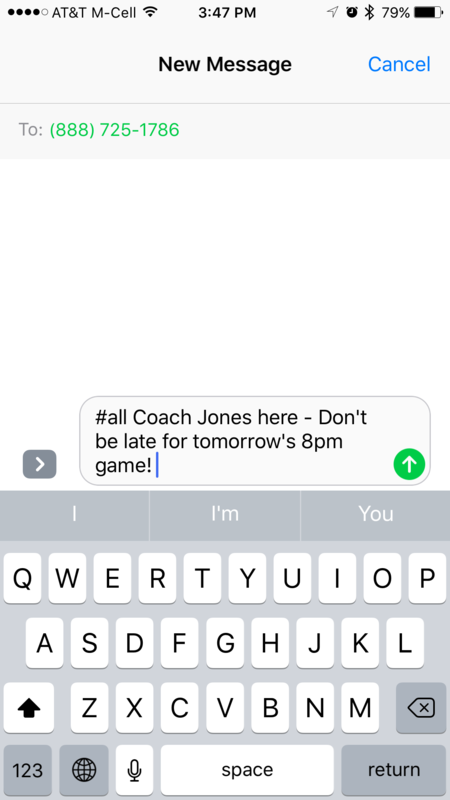 Example: #all Coach Jones here - Don't be late for tomorrow's 8pm game! You are also able to send a broadcast directly through the Call-Em-All mobile app which you can download at m.call-em-all.com.